Check your old boxes in the basement! Do you have Precious Moments Figurines? If you do, they could be worth a lot! The Precious Moments art were originally created by two friends for cards and posters in the 1970’s….The art was pretty popular and in 1978, 21 “Original” Precious Moments figurines were made into doll figurines. Over the years, these sweet figurines have become a favourite for collectors, and have also made great gifts for those special moments in life. Due to the popularity of nostalgic items and people flocking to collect the Precious Moments- Check your shelf, because some could be worth a lot of money! 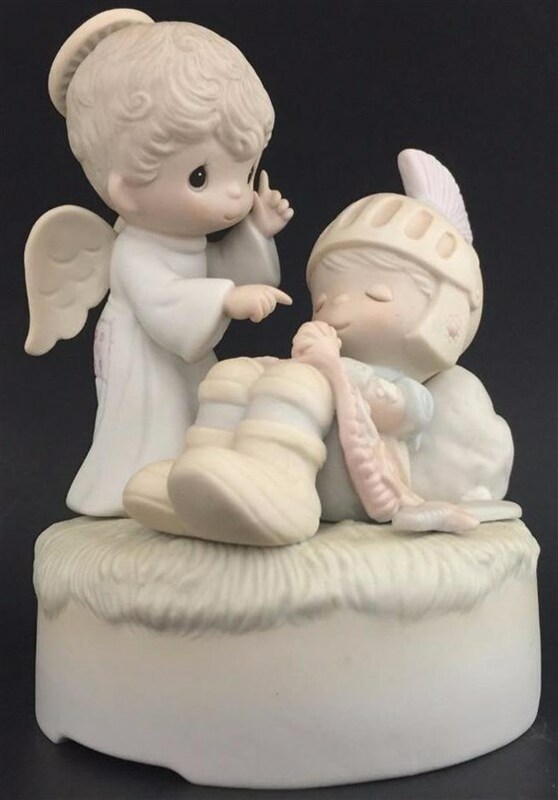 The sculpture in particular that collectors want is called “God Loveth a Cheerful Giver,” and is one of the Original 21 Precious Moments collectables released in 1979! 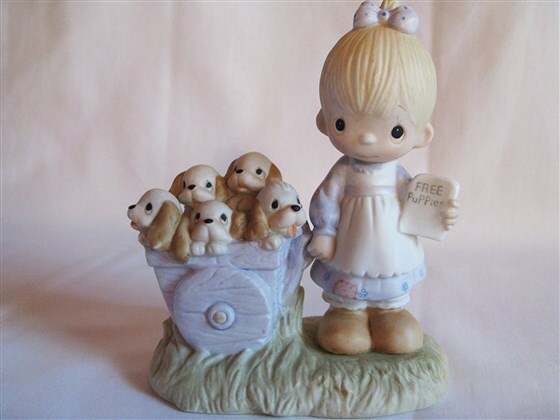 This piece is a cute little girl giving away puppies and was originally sold in stores for $15, but today it can sell on eBay for hundreds. One was sold for $188 and another for $250. 1981 Precious Moments Figurine, “Silent Knight” is also in high demand!